Berman Enterprises: A history of hands-on management, integrity and respect. LIVEbe is the residential division of Berman Enterprises LP, a real estate development and management company. Founded more than 60 years ago, Berman Enterprises is a multi-generational real estate and investment holding company founded on the principles of honesty, integrity, hard work, hands-on management, community and philanthropy. Energetic, driven, sharp, and resolutely honest – traits that characterized young Melvin Berman when he joined his uncle's dairy operation near Baltimore. He learned the business quickly, then ventured to start his own dairy company, partnering with younger brother Wolford, and local distributor Arthur Robinson. The team built a successful dairy distribution company servicing Baltimore Washington and owning a large plant and significant land holdings in the Laurel, MD area. 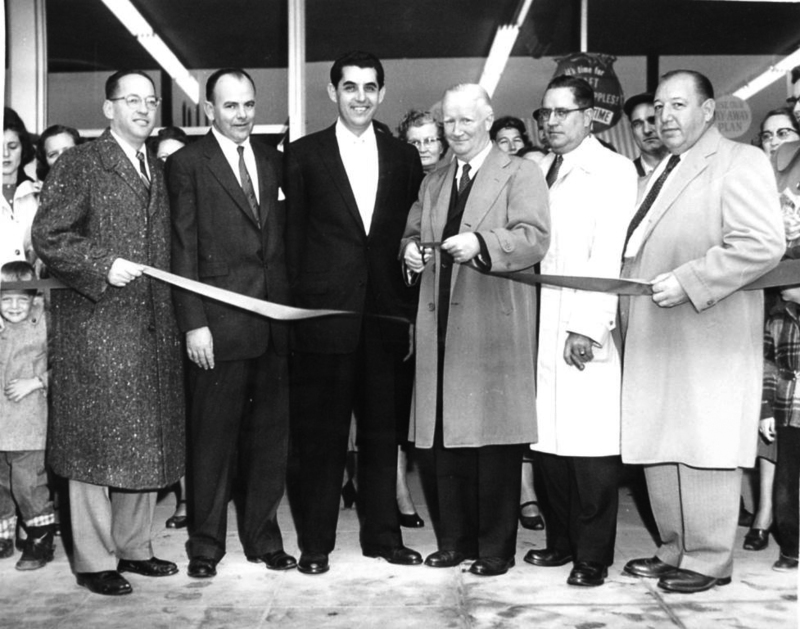 The brothers became interested in retail development and built their first shopping center in Ingelside, MD. Several others soon followed they divested themselves of their dairy business and focused entirely on development. Their real estate achievements include several of the first major shopping centers in the region including Ingleside Shopping Center, the Laurel Shopping Center and Laurel Mall. The qualities that defined the Berman’s were uncompromising honesty, exceeding expectations, and a strong work ethic. Every customer and tenant received their personal attention and they became advisors to many of them in growing their businesses. Whatever needed to be done they did – be lease negotiations to personally seeing to construction or maintenance. Through their fastidious management and unprecedented marketing efforts, their shopping centers became major successes. Melvin and Wolford are remembered for their quality developments and active support and participation in community, civic and charitable causes throughout their lives. Training their sons Gary, (Wolford’s eldest) and in Dennis (Mel’s second) in the business was paramount to the brothers – the importance of honesty, attention to detail and maintaining strong connections to each tenant. Tasked first with supervising the renovations of their father’s assets Gary and Dennis heeded the advice on the importance of being on time, on budget and the significance of treating others as they wanted to be treated. Contractors in particular were to be paid instantaneously once the job was done and this built tremendous loyalty. Construction became their niche and soon escalated development activities. Their projects were profitable because they were meticulously on time and budget and they themselves performed the tasks of four trades – general contracting, supervising, managing, and leasing. They operated a lean organization, and were extremely fiscally conservative as they had learned to be from their fathers who were now ambling towards retirement. The company is currently operated by the third generation of Bermans: Gary’s sons Kevin, Adam and Casey and Dennis’ sons Brian, Jeffrey and Benjamin who have expanded the company’s retail, commercial office and residential operations & developments. Embracing the ethos of their fathers and grandfathers, the decision was made to bring the management of Berman Enterprises’ residential assets in-house culminating in the creation of LIVEbe. At LIVEbe, we empower passionate people to provide residents with an unparalleled living experience with a specific focus on fostering a strong sense of community.